Are you looking to hire a full time or live-in caregiver for your loved one(s)? If so, let us help you find the right person – we hire local Care Aides! Let us know what your needs are, including what kind of care is needed and what schedule you are needing to fill, and we will find the right person for you. We will screen and interview candidates for you and do all the background & reference checks. 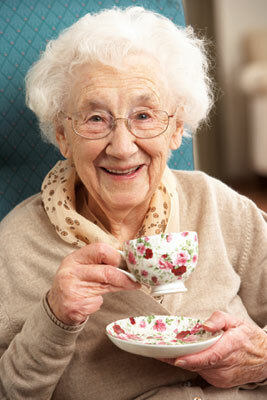 We will make sure that your potential caregiver has a clear Criminal Record Check and First Aid certification. We will also make sure that the candidate is a Certified Care Aide – meaning that the course they have completed gives them experience in all aspects of personal care, dementia and palliative care, as well as routine tasks of daily living. Once we find a suitable candidate that you are completely comfortable with, we will provide you with an employment contract for both you and your caregiver to sign. Once we find a suitable candidate, you will personally interview the caregiver to make sure they would be the best fit for you and your loved one(s). You choose the wage and schedule, & you do the payroll! Once the contract is signed, the process is complete and you become the employer! Home Healthcare Network has very exacting requirements for its Caregivers and recruits only the most outstanding professionals. Home Healthcare Network is a Home Care provider on the Sunshine Coast of BC, offering not only the most experienced Caregivers and Housekeepers, but also a service that conducts itself with class and integrity. We strive to meet the ongoing needs of all clients by supporting individuals in facilities and in the community, and by promoting independence in the elderly, physically and/or mentally challenged. We promise to assist our clients manage their care in any place they choose to live. One of our main goals is to ensure that you and your loved ones feel confident with their caregiver’s capable hands, knowing that they will be both safe and happy. Contact us to receive a quote on our one time placement fee, and to receive our questionnaire to be completed by you. This information will help us to create a job description to find your perfect caregiver. Email us today at info@homehealthcarenetwork.ca; you and your family only deserve the best!